This is an opportunity to explore first-hand the economic and political roots of the migration of millions Latin Americans into the United States. What causes people to uproot themselves from their histories and homelands and take a long, painful, costly, and dangerous journey into a foreign land where they seldom know the language and are often greeted with hostility? Explore this question by visiting and experiencing the southern Mexican state of Oaxaca, where many of the forces for migration are stark and clear. The good news is that Oaxaca is a beautiful state of two million people, and you will fall in love with the people, the land, and their history. The bad news is that nearly half of the Oaxacan population has left the state going north, seeking food for their families. Why is it that each year many people—both men and women—leave Oaxaca and travel to the United States? See the real reasons for migration to the U.S.
Visit a local shelter for migrants moving to or from the U.S.
$950 + airfare (arranged on your own). 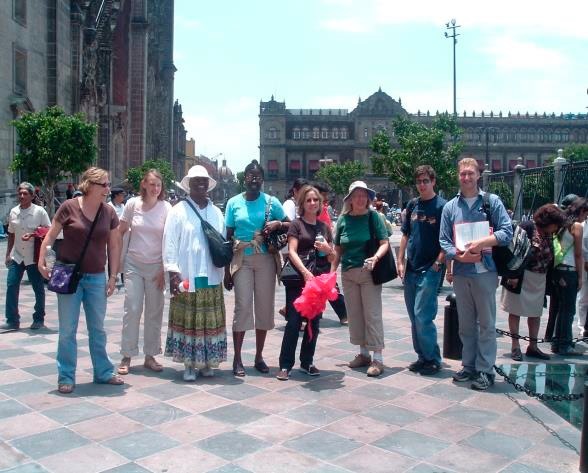 This covers all of your expenses “on the ground” in Oaxaca, including transportation, food, and lodging. Scholarships and fundraising opportunities are available. Download this notice in a pdf flyer here. Access the website here. Co-sponsored by the Justice & Witness Council of the Massachusetts Conference of the United Church of Christ, the Mission and Justice Committee of the Southeast Area of the MACUCC, and Jubilee Massachusetts.